Flashbay believes in creating customer loyalty by providing a superior product and a superior service. Anyone who’s ordered our amazing custom USB drives will know how great the product and service is, but don’t just take our word for it! Each month we get hundreds of great reviews praising both our products and service. 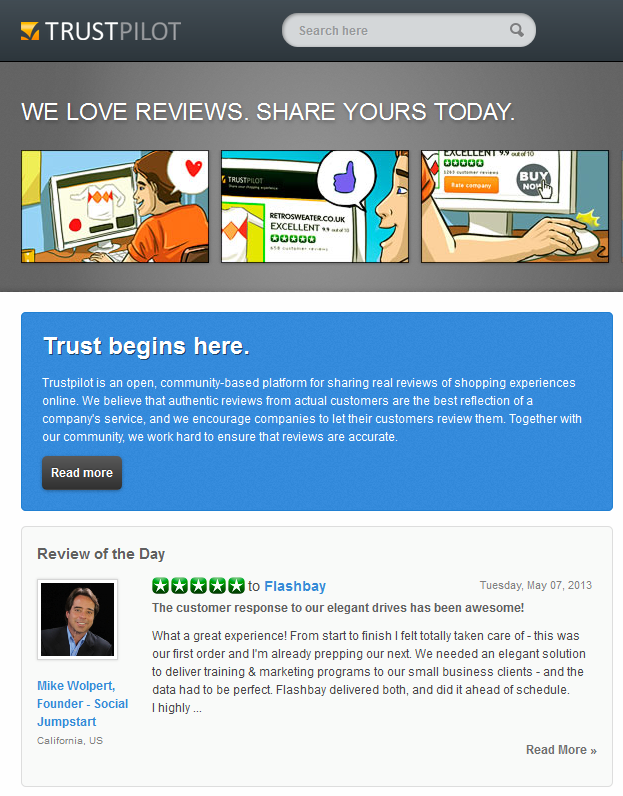 Today one of our reviews has even been selected as Trustpilot’s ‘Review of the Day’. Why not check out our other reviews at Trustpilot and then contact us to see how we can help with your promotional USB needs.